Adima Rising, a Young Adult novel by Steve Schatz, is now available in Nook format, in addition to a previously released paperback version at B&N.com and both digital and paperback formats on Amazon and in the Absolute Love Publishing store. 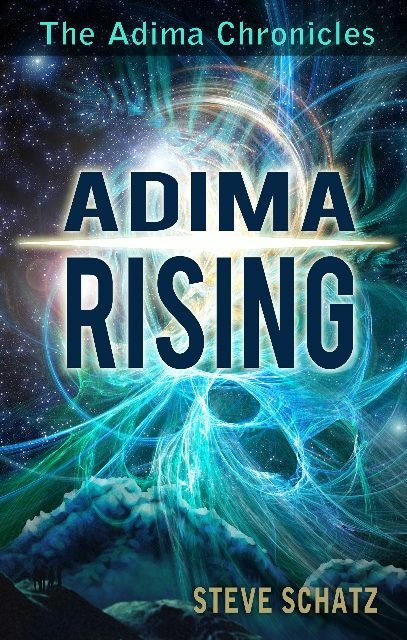 The first adventure in The Adima Chronicles, Adima Rising now can be easily downloaded on your Nook for Thanksgiving vacation. If you are looking for a timeless fantasy adventure that has wit and wisdom, this debut young adult novel is perfect. Guided by a timeless Native American spirit, four teenagers from a small New Mexico town discover they have one month to awaken their inner power and save the world. Rory, Tima, Billy, and James must solve four ancient challenges by the next full moon to awaken a mystical portal and become Adima. If they fail, the last threads of light will dissolve, and the universe will be lost forever. Can they put aside their fears and discover their true natures before it’s too late? Raise Your Financial Vibration – 37% More in New, Updated Edition! Raise Your Vibration – 28% More in New, Updated Edition!